PalletSource is a manufacturer of wood pallets and wood box springs. PalletSource is a responsible corporate citizen and our focus is manufacturing eco friendly wood products. We lead our industry in “green”. PalletSource is an industry leader investing millions in custom machinery to maintain market share over smaller competitors. Continued growth has been achieved through quality products, innovative services and competitive pricing. Customers are seen as partners and treated very much as a part of the PalletSource family. PalletSource Inc. does not use child or forced labor in any of our operations or facilities. None of us tolerate any form of unacceptable treatment of workers in our operations or facilities. This means that we do not permit exploitation of children, physical punishment or abuse, or involuntary servitude. We fully respect all applicable laws establishing a minimum age for employment, in order to support the effective abolition of child labor worldwide. Workers under the age of 18 are not permitted to perform hazardous work. Wood is the only major structural material that is Natural AND Renewable. 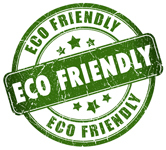 When you use wood pallets and box springs you are using eco friendly products. PalletSource strives to bring together the perfect combination of resources and technical expertise to create innovative products at prices that are affordable. Here at PalletSource we have made a multi-million dollar investment in Tronco machinery for higher quality pallet construction. Our investment means higher quality pallets at more affordable prices for you, the customer.